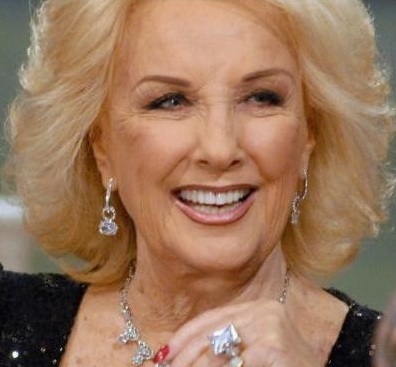 Since 1968 she presents one of the more successful shows in Argentina, Lunch with Mirtha Legrand, formerly called Breakfast with the stars, where she plays with different figures of spectacle, sport and politics - Almorzando con Mirtha Legrand. 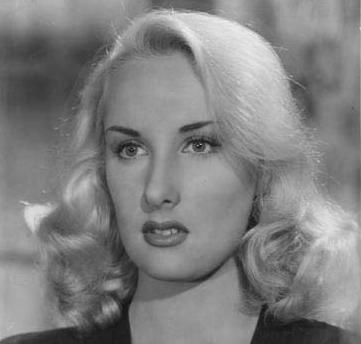 Mirtha Legrand (born Rosa María Juana Martínez on February 23rd, 1927 in Villa Cañás, province of Santa Fé, Argentine) is an Argetine actress and television presenter. During her long artistic career, she played in 36 movies, mainly in Argentina, but also in Spain. She is considered a member of the Golden Age of the Argentine Cinema, as well as Niní Marshall, Tita Merello et Libertad Lamarque, among others. She has also participated in two radio cycles and in eleven theater pieces. She was married to the French-Argentine director Daniel Tinayre, from 1946 to 1994 when he died. She had 2 children with him, Daniel André (1948-1999) and Marcela (1950). Blonde hair, blue sparkling eyes, the presenter, nicknamed « la Chiqui » (little girl) is a 90-year-old cultural icon and an admirable woman. One of her famous quotes : « Señores, no se peleen, no discutan porque la vida es corta y vale la pena ser vivida. Y recuerden: lo que no es, puede llegar a ser. Como te ven, te tratan. Si te ven mal, te maltratan ».